Music is something you feel – even if you can’t ‘hear’ it. 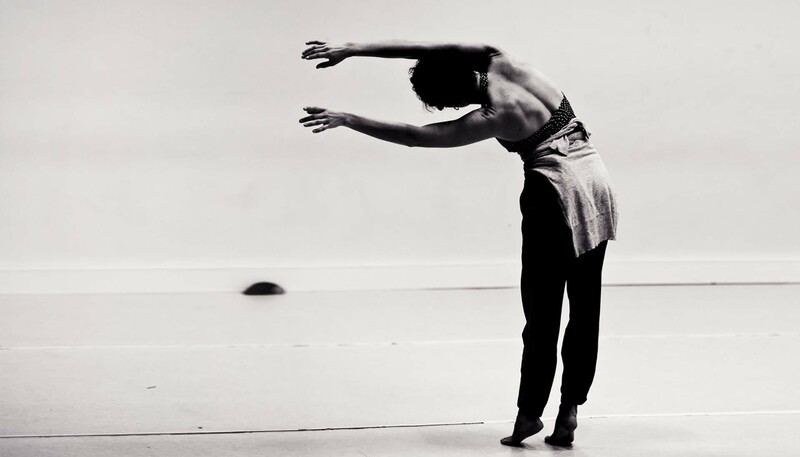 Deaf contemporary dance artist Anna Seymour explains how she connects with music, and how the joy of moving can dissolve barriers. How did you first discover your passion for dance? I knew I loved dancing when I was really, really young. As a little girl, I was always skipping and dancing and I started classes when I was six years old. Maybe because of my Deafness and being the only Deaf person in my hearing family, I found dancing to be a natural way of moving and expressing. I think it was while watching a dance show at a primary school excursion that I realised how much I loved dancing. I asked my primary school principal for the keys to the school hall for me and my Deaf friends to use at lunch times to dance. A true Deaf take-over of space! What do you love about dancing and expressing yourself through movement? Dancing and movement are very powerful. I love the physical and mental challenges in dance and how you are actively developing physical, emotional and logical intelligence when you dance. I love how visceral it is – moving, sweating, breathing, and I love discovering the balance between disorientation and coordination. I also love how dancing and movement is a universal language – you don’t need spoken language to connect with others. Dancing is very healing too, and it is what keeps me grounded, open and strong. A lot of people might be surprised to learn that Deaf people can enjoy and connect with music. Can you share a bit about how you experience music and sound? I am always being asked, “How do you dance if you can’t hear the music?” To me, that shows a very limited mindset and the high value our society places on sound and audio and spoken language. The idea of Deaf people enjoying music challenges this status quo. Yes, of course Deaf people enjoy and connect with music – just in a different way from how hearing people do. Deaf people are often made to feel that we are not meant to have access to music or dancing, but music and sound can be experienced in different ways – through the body and even as thoughts – not just through the ears and the auditory channels of our body. Deaf people enjoy feeling the bass rhythms of music and we love to dance to very loud music! As a dance choreographer, the role of music and sound is so ingrained in the culture of dance, but there are contemporary dancers and choreographers who are open to seeing dance and music as separate components in the creative development period. Dance is about the study of the body and how the body moves. How different bodies in space can move together in time. Dance isn’t necessarily about the music – that would be going away from the very source of our study and research as dancers. When I am making a new piece, I never use music. I give myself and others movement tasks and we improvise. Once we have made something, we add music and sound later by collaborating with the sound designer. You’ve said that being Deaf has some advantages in dance. Can you expand on this? Deaf people have strong peripheral vision, heightened sense of feeling and rhythm and anticipation of movement. We are highly trained to survive in a hearing world, so our visual senses are always switched on, and we are also very good at reading and sensing different situations and people’s facial expressions and body language. Deaf people listen in a different way, on a deeper level and I think that gives Deaf people a unique presence, which works well in creative development and on stage. Ooh, this is a difficult one to answer because all my projects are so different with different challenges. But I think I’m most proud of SPIN, which was part of the 2018 Melbourne Fringe Festival. SPIN was essentially a dance performance party, led by Deaf hosts. I was collaborating with a team of nine artists including performers, Deaf hosts, a DJ, the sound designer, the production designer and the light designer. I was directing the project (with a lot of collaboration from the creative team), but also producing it with the support of Darebin Arts, and performing in it, as well as being one of the Deaf hosts. It was massive and exhausting, but it was a dream come true and it was so beautiful to share it with audiences. Traditionally, the dance club is seen as a ‘hearing space’ which Deaf people do not take part in. SPIN is about reclaiming the dance club and the dance party as accessible, inclusive and safe spaces. It’s a playful disruption of what we think we understand the dance club to be. How did your experiences of dance scenes around the world inspire this project? SPIN was inspired by my travels in the Americas and Berlin last year. I was in New York and Berlin for two subsequent residencies, and in between I went to Burning Man in the Nevada desert and travelled to Mexico and Cuba. I explored the club/social dance scene in Berlin, Mexico and Cuba and observed the different dance genres and how people interacted with each other. One experience that had a significant impact on me was the after party of the International Deaf Dance Festival in San Francisco. The DJ was Deaf. The dance floor was packed full of Deaf people. I will never forget the exhilaration of dancing in a group that was held together by Deaf people, especially at a party. That experience inspired me to re-create an experience for audiences in Melbourne.